Square renovation repairs the square from the cessation of one season in preparation for the next season. Any major renovation required should take place at this stage. 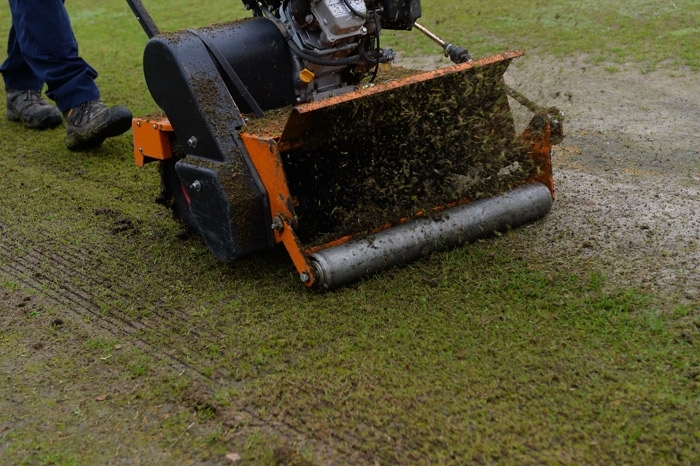 The prime aim of renovation is to restore levels of quality and grass coverage. 5. Top dress with clay loam. The degree of the operations will depend on the profile assessment. At the end of the playing season. Incorrect performance of this operation or using inappropriate materials will affect the square for many years. Plan the renovation based on the assessment of the square in July/August. Have any machinery or material delivered in good time for the operations.